Patrick Bevin surprised the sprinters in the second stage of the Tour Down Under. The New Zealander, the national time trial champion this season, won an race at Angaston that was marked by a fall in the central part of the peloton, which left 30 cyclists with options to dispute the stage. There was Spanish prominence with presence in the gaga of Jaime Castrillo and with a harsh attack by Luis León Sánchez in the last kilometer. 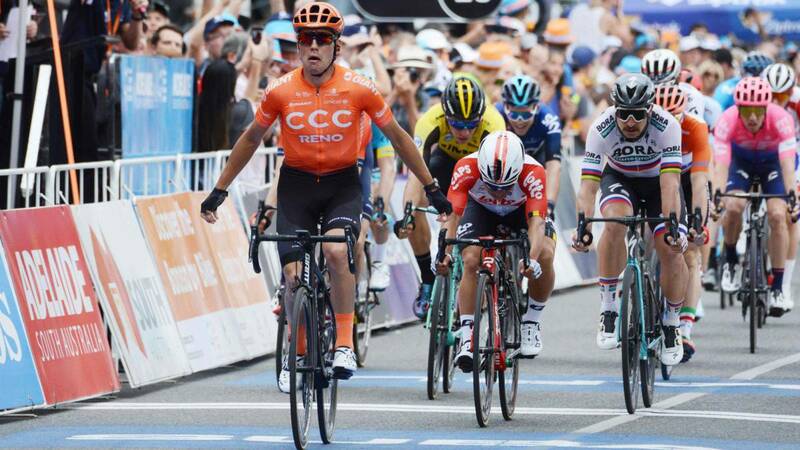 In a stage cut out by the heat and in which finally did not pass the 40 degrees, a leak of three cyclists with Artyom Zakharov (Astana), Jason Lea (UniSA-Australia) and Jaime Castrillo (Movistar) was the protagonist during a good part of the stage reaching 3:30 with the peloton. After Leah summed the points of the mountain in Checker Hill and Zhakarov won the intermediate sprints the flight was hunted to 55 from goal. It was then when Matthieu Ladagnous (Groupama-FDJ) tried it, that he opened a gap of 2 minutes with the group although the work of the teams of the sprinters made the French cazado to 3 kilometers of meta. De this form the sprint was reached by chopping up in Angaston and a fall in the last kilometer caused a group of 30 runners to play the stage win. Luis Leon Sanchez launched a long attack in this last kilometer trying to surprise the sprinters but a powerful Patrick Bevin managed to give chase to 50 meters of goal and did not give option to the sprinters to get in this way the triumph of stage and the leadership of the general. This Wednesday, third stage with a 146-kilometer course between Lobethal and Uraidla, with six laps to an ideal circuit where new arrival is expected to sprint.